Originally incorporated as Bhavani Pattern Works in 1965, the group has grown manifold in terms of size, production capacity and global reach. Over the years our technology has matured, focus has sharpened, and commitment to quality solutions has been re-affirmed. What has not changed however is our vision to pursue engineering excellence. 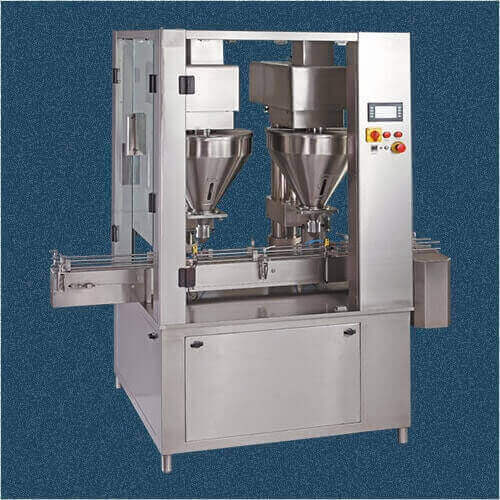 Capping Machine Basically Apply cap or lid to each container of liquid. 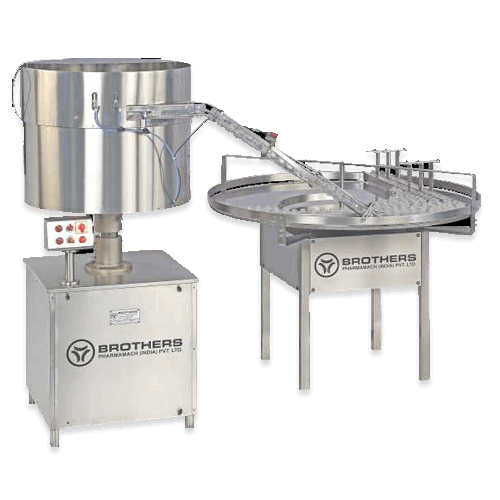 Work of this machine is not just to apply and fit liquid container's cap, but also to ensure that The liquid does not get polluted by handling and sanitation. 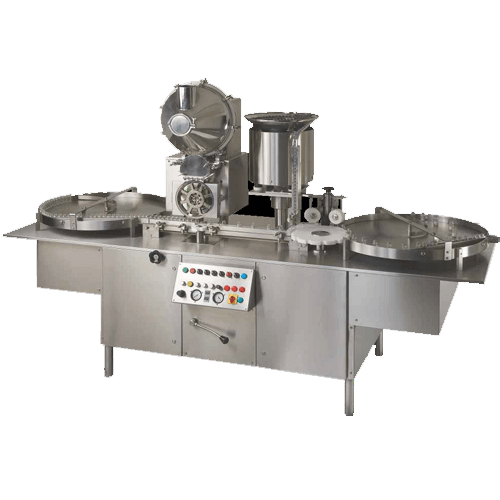 We have various kinds of Capping machines available. 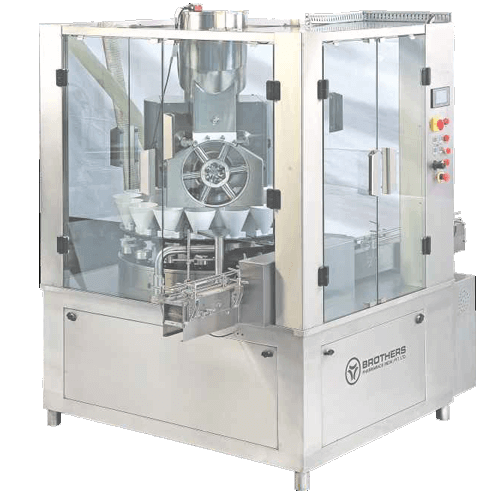 To transfer the container to the cleaning segment air Jet cleaning machine reach the Separator assembly using the principle of a synchronized system of back-pressure off Compartment sustained by the Unscrambler. 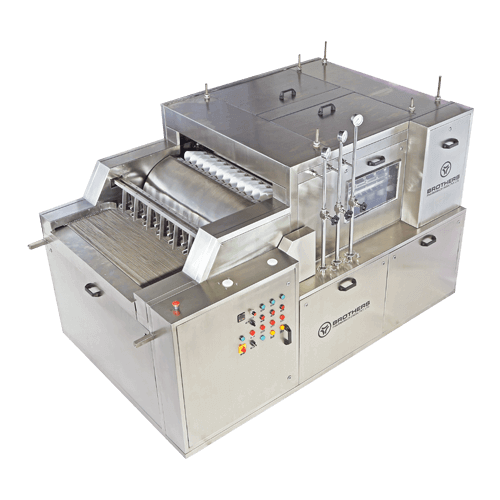 Machine have built-in turn tables at in feed and out feed with each drive to match the speed of incoming and outgoing vials for smoother operation. Any part of machine which coming in contact with powder is made from ss.316 material. It has maximum speed of 120 vials per minute. 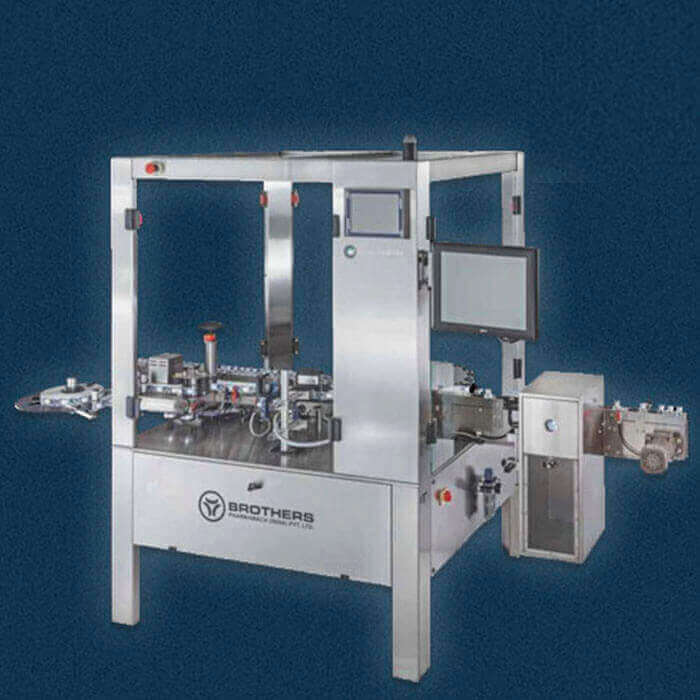 Leaflet Pasting Machine can paste or stick in different size and thickness of leaflet on different shape and size of the bottle on top of the bottle. 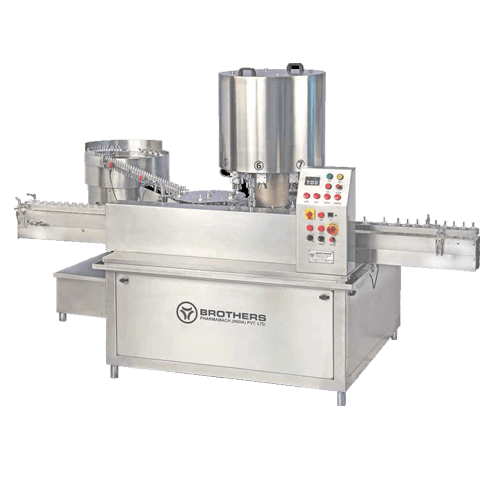 It has complete stainless Steel structure and maximum speed of 140 bottles per minute to apply leaflet. If there are changes in size of the bottle or size of the leaflet machine does not require any Change in parts. 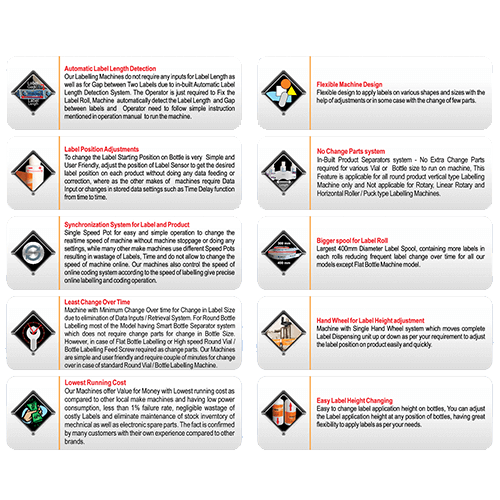 On request of a customer special machine can designed to apply leaflet. 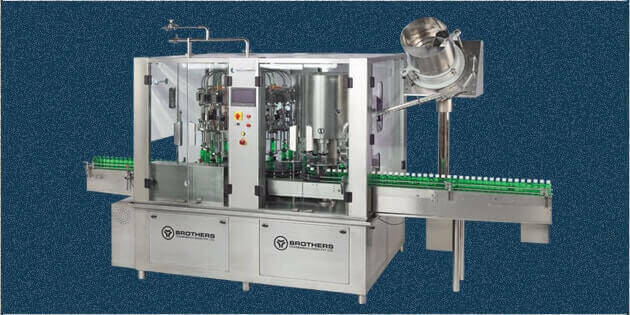 Liquid filling machine can easily and efficiently pack liquid into different containers Faster and with less wastage. 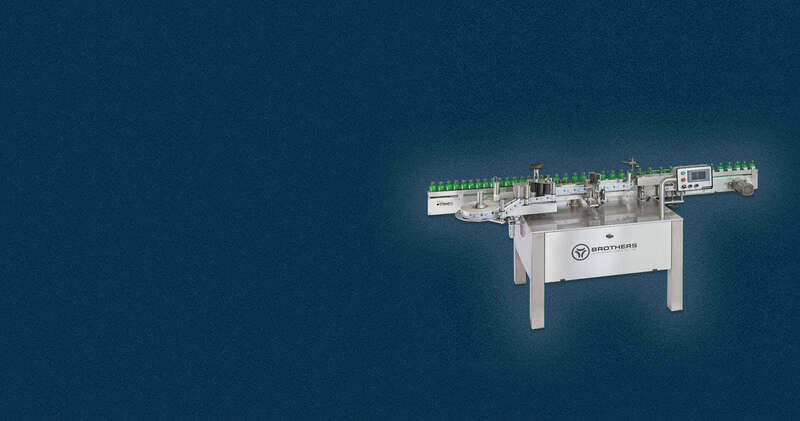 Liquid fillers are important equipment for the liquid Packing industries which need to pack the liquid in different shape & size of container For eg. Food & beverages, cosmetics, pharmaceutical, etc. 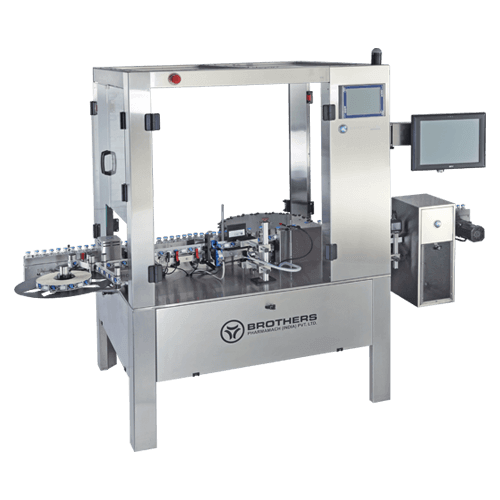 Sticker Labelling Machine sticks the label on bottles, cans, cardboard boxes, pet jars, Containers of different sizes and many more. It sticks different kinds of sticker on all Container. This machine have make labelling work so easy and fast. 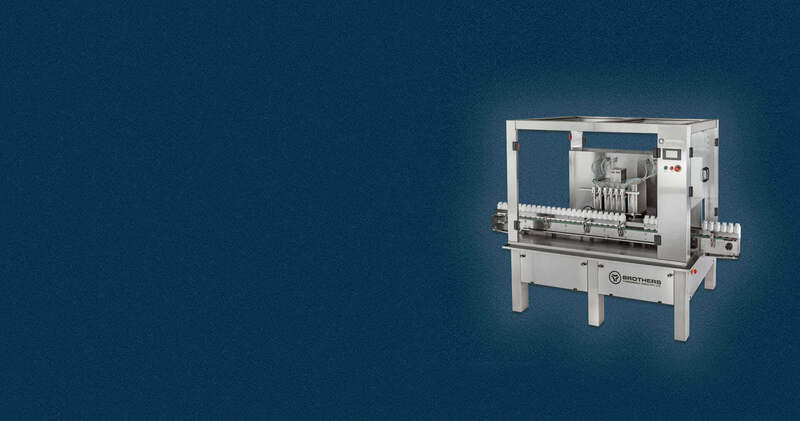 We have different kinds Of machine available with the different capacity of labelling per hour. 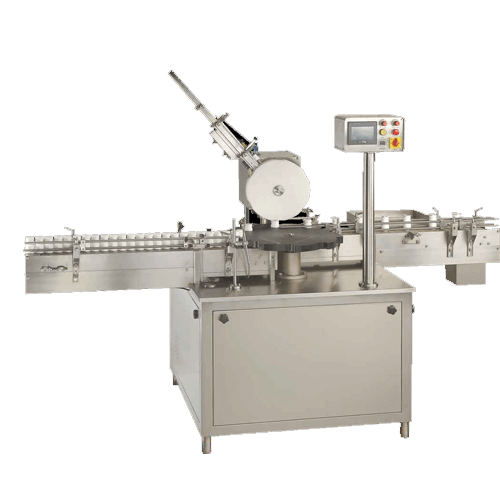 It is India’s first semi automatic wet glue labeling machine. 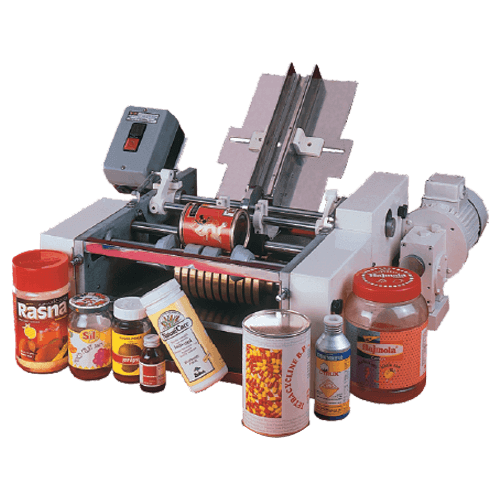 It is substitute of automatic labeling machine especially for the industries who want to keep their cost of production low. 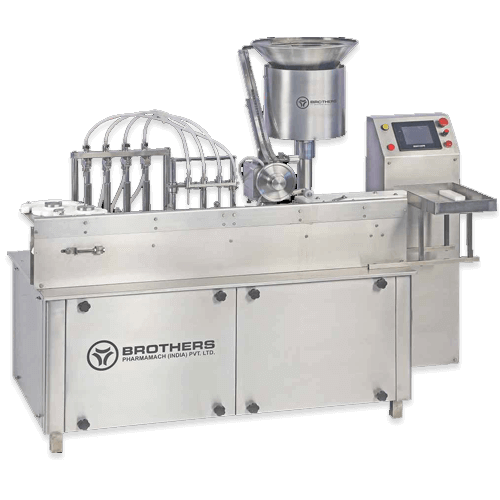 Maximum capacity of machine is 40 units per minute depending upon label size. On the special requirements larger models are also available. 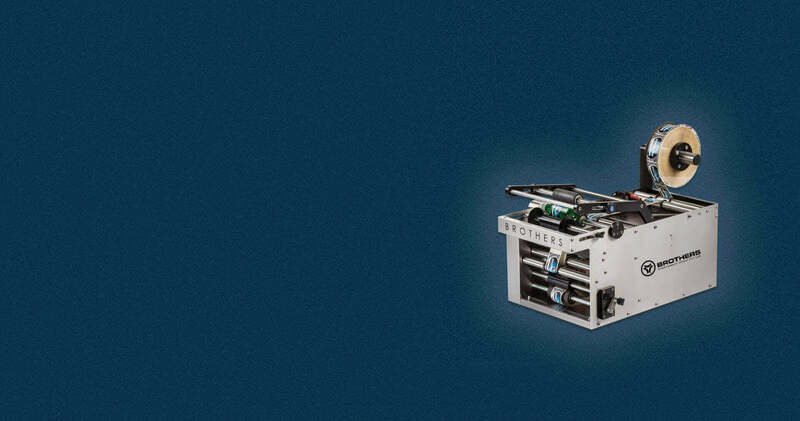 Our metal detector is safe and reliable in all kinds of aluminum packaged products. It have intelligent, passive magnetic surface sensor which works without wear and contrary to X-ray scanners. Even if the production is huge wires, chips and broken injection needles are reliably detected. 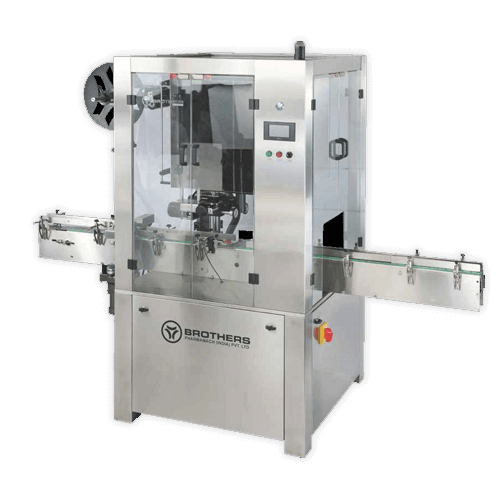 The machine can cut and insert shrink label from Roll Form on Glass, Plastic, PET, Aluminum Bottles and Containers in FOOD,FMCG, Pesticides, Cosmetics and Pharmaceutical Industries. 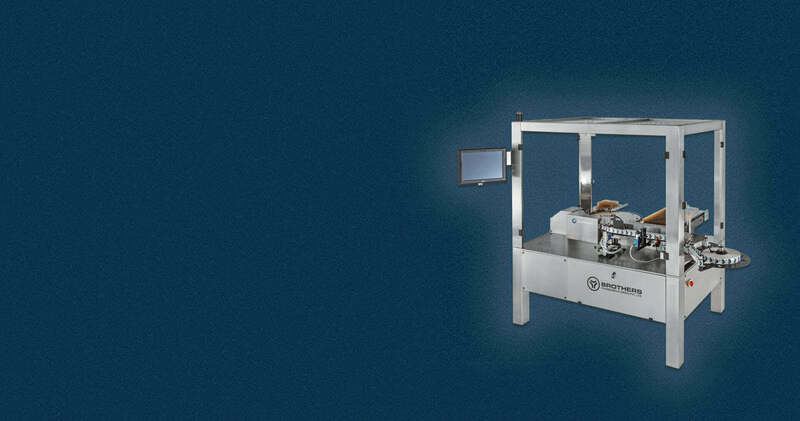 This machine can be connect to any shrink bundle packing machine to use online or can be use offline for inspection and verification of shrink bundle. 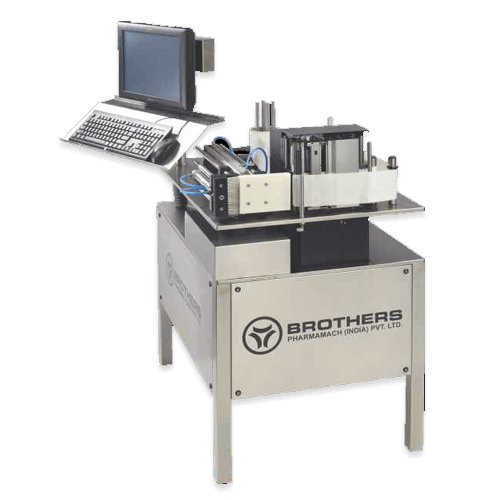 Machine is compatible for all sizes of shrink bundles. It is a complete rack and trace solution. 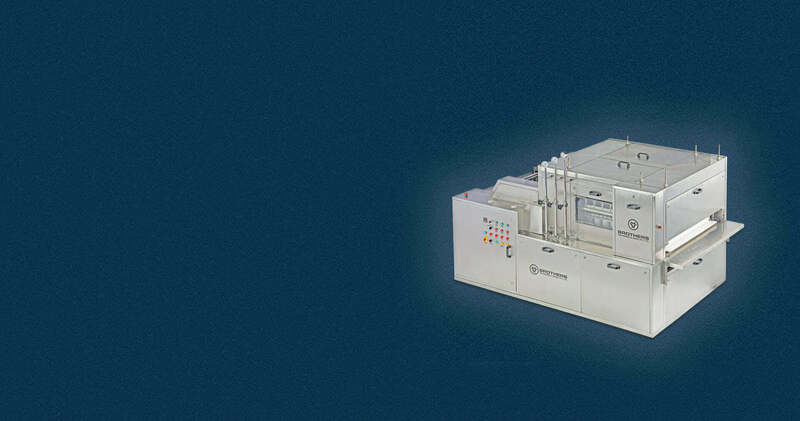 This Machine can print and apply label on end packing cartons such as shipper, Bundle etc. It can used for online or offline application. 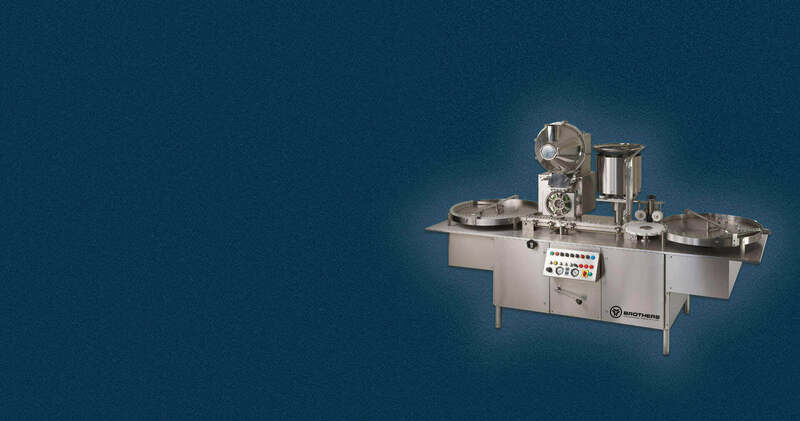 We have other equipments like coding systems, label count-250, Turn Table Etc. 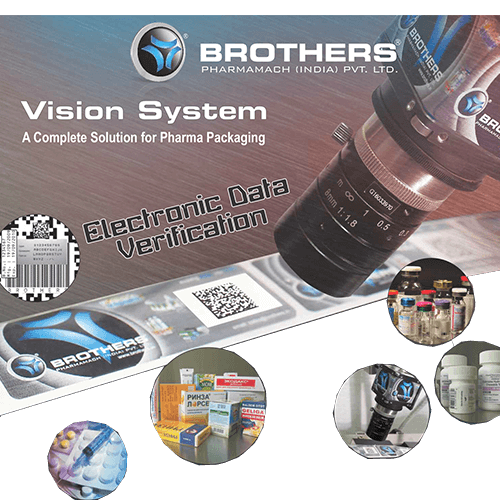 Vision System inspect the label of products so that integrate check can keep on packaging. 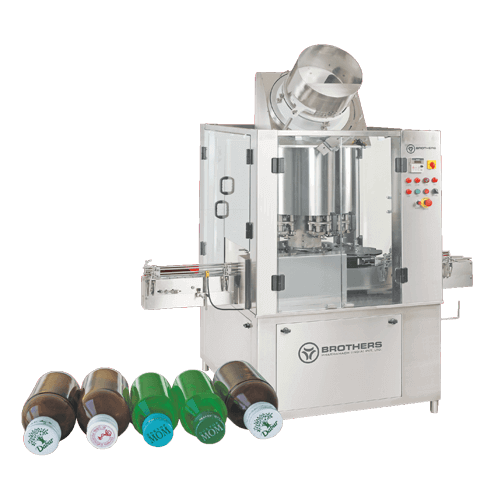 Machine is capable of inspecting accurate label and packaging on glass bottle, jars, vials, pill packs, carton etc. 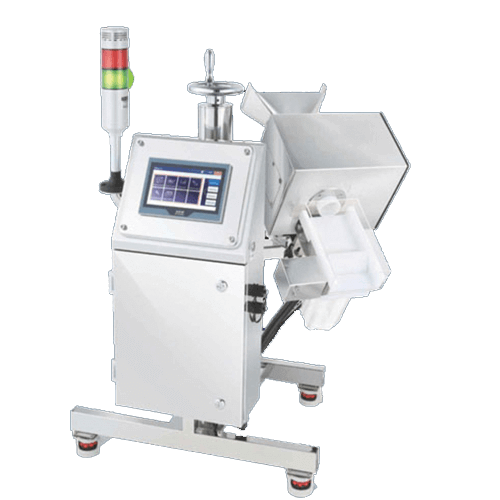 The machine has excellent visibility with color touch screen display also user-friendly operation. 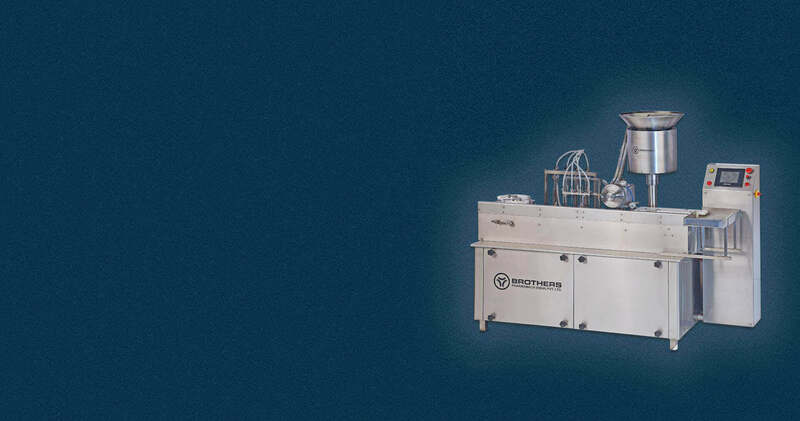 Majority machine structure is made of stainless steel 304 material and supported by latest automation technology for electronic components. It is a standard online weight checking system which helps in getting correct weighing online of individual product such as pouch, bottles, vial etc.. 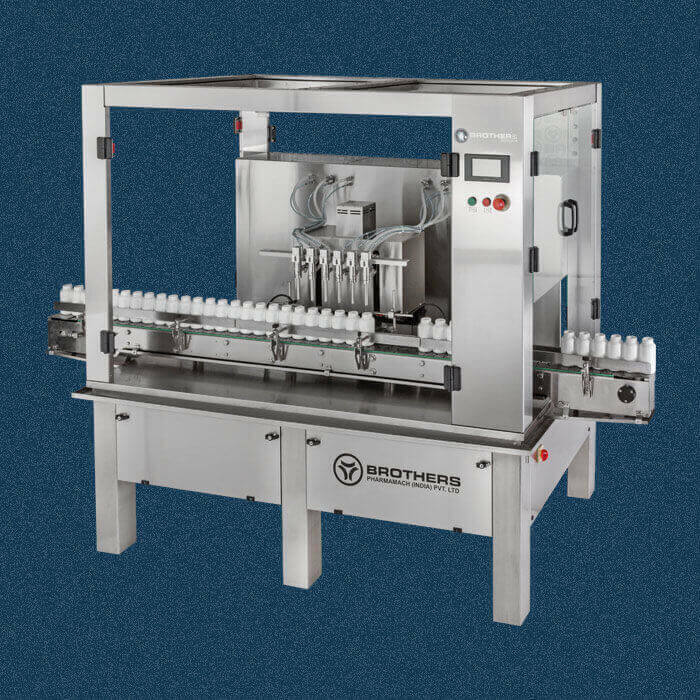 The machine is suitable for round vial having maximum speed of 120 vial per minute depending upon nature of Liquids, Vial Neck Size and Fill Volume. 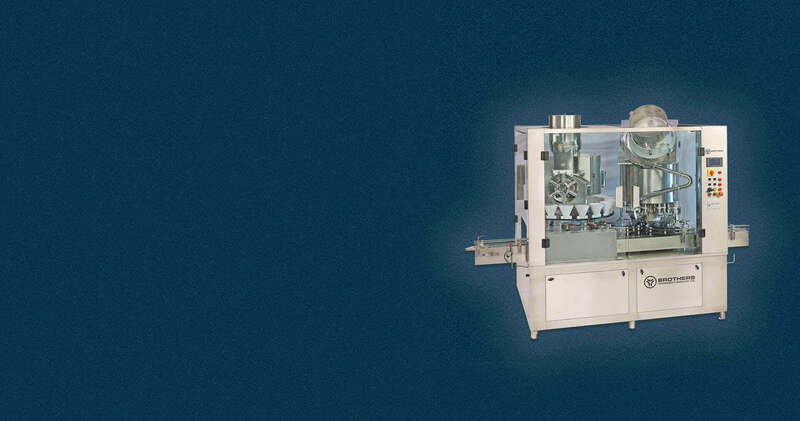 It is four head volumetric motion type liquid vial filling machine. Any part of machine which comes in contact with liquids is made from S.S. 316 Material. 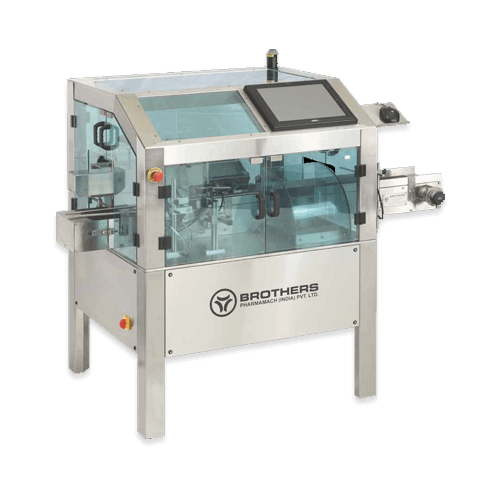 The machine has excellent visibility with color touch screen display also user-friendly operation. 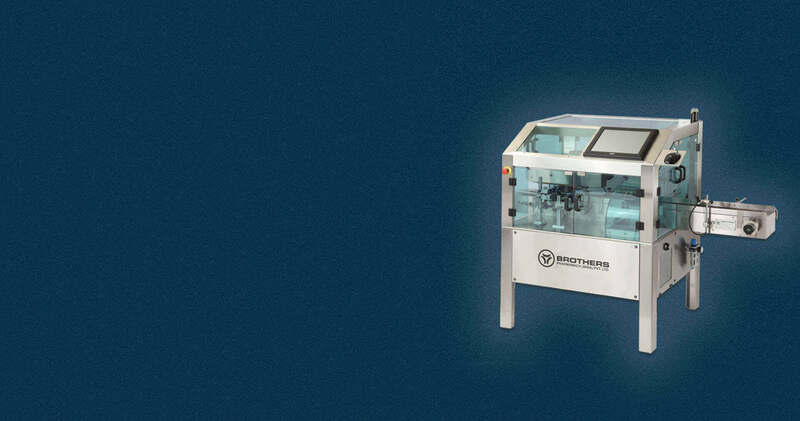 Majority machine structure is made of stainless steel 304 material and supported by latest automation technology for electronic components. 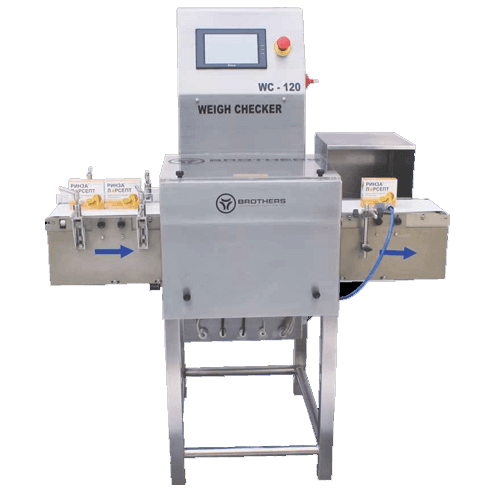 It is a standard online weight checking system which helps in getting correct weighing online of individual product such as pouch, bottles, vial etc.